Here’s a scenario: you leave your house in Phoenix for a month to go stay with your aunt out of state to help her out. You give your neighbor a key to your house to have her check-in on it every couple days. Two weeks into your trip you get a phone call. The neighbor tells you a pipe must have burst in the laundry room and the walls and floor are all wet. What do you do? Ideally, you call Rapid Response Restoration at 602-466-2619 and arrange for them to meet your neighbor who has the key and get to work drying out the place! Otherwise, left alone, that laundry room is going to get moldy, and that’s not good. What is mold? Believe it or not, mold is alive! Mold is actually a collection of teeny tiny living organisms that love living off of organic material. They live in damp, warm and humid locations. You probably have some mold living right now in your bathroom, but it’s not to the point where it’s covering walls and making you sick. Left unchecked, mold can easily take over rooms, and when there’s so much of it, people have a hard time breathing. It’s not healthy to live in mold-infested conditions. 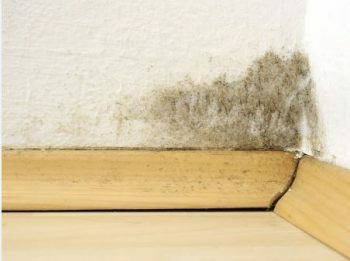 What can you do to minimize mold in your house? Make sure it’s well ventilated. If there are any leaky faucets, fix them. If the carpet or furniture gets wet, do what you can to dry it quickly rather than letting it linger for days, still soaking wet. Finally, clean and vacuum your house regularly. Ideally, keep a home at 40 to 55% humidity to prevent mold growth. A dehumidifier/air conditioner helps accomplish this. Rapid Response Restoration does mold testing and offers mold removal services in and around Phoenix. If you suspect a mold problem and/or need to get rid of standing water in your home where it shouldn’t be, call 602-466-2619.